If you’re sick of Newcastle signing players from Ligue 1, you may want to find a desert island to occupy over the summer. As long as purchasing players from France remains an economically sensible strategy, Mike Ashley and Alan Pardew will continue to employ it. The Magpies will most likely be looking to replace Fabricio Coloccini and could need to make up for a potential Davide Santon move to Italy. And coming off an embarrassing defensive showing in the Tyne-Wear derby, Newcastle will be even more convinced they need some defensive firepower. Acquiring any of the following five players currently being pursued would go a long way to making that happen. One in particular could be the best transfer pickup for the club in years. 27-year-old Aurélien Chedjou plays centre-back for Lille, a familiar club to Newcastle supporters as the former home of Yohan Cabaye and Mathieu Debuchy. While a tad old compared to what the current regime are usually interested in targeting, his 2012-13 season in particular has led the club to believe he’s well worth the interest. The Cameroonian international has been rated around 12 million reaching the end of a season in which his club continue to push for a spot in Europe, and is also sought out by Liverpool and Valencia. Valencia in particular look to make this a very difficult signing for the Toon, as Chedjou played his youth football in Spain and has previously expressed an interest in returning to the country. Left-back Cheikh M’Bengue has been an absolute force for Toulouse, who recently shipped Moussa Sissoko Tyneside, in both good ways and bad. Over the course of his career, he’s been banned from nearly a full season’s worth of competitions due to some brutal tackles (a good reason for him to come to England, as the FA seems to let that slide) but has been a revelation for his boyhood club, drawing him enough attention for a place in the Senegalese national team. A much more thorough description of M’Bengue has previously been written by Harry Savill. Quite possibly the highest profile name on the list, 23-year-old Nicolas N’Koulou has been in fine form as part of the back line of Olympique de Marseille, the only club to really give Paris-Saint-Germain a run for its money in Ligue 1 this season. A durable defender with a high level of stamina and an excellent work rate, there’s a reason his club have been one of the few to hold a venomous PSG attack at bay. Having played with the Cameroonian national team in the 2010, N’Koulou’s impressive resume has led the centre-back to be linked to Arsenal, Liverpool, and Tottenham, two of whom will almost certainly be able to offer N’Koulou European football next season. Marseille are in a sticky financial situation, and with N’Koulou’s stock higher than ever they will be doing everything they can to offload him over the summer. Cheikh M’Bengue’s teammate at Toulouse, 23-year-old Aymen Abdenour, has also been linked with following Moussa Sissoko to Newcastle. 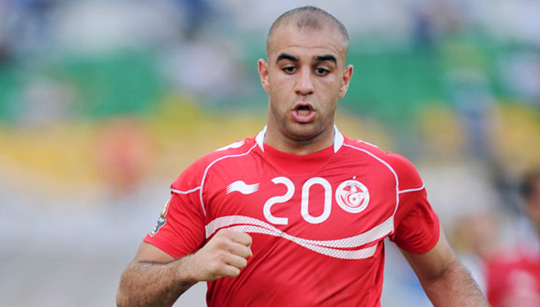 A Tunisian international, he has previous experience captaining his country’s under-21 squad, evidence to his leadership abilities when he wants to utilize them. The centre-back is not one to be shy about his opportunities beyond Toulouse, having recently received and considered an invitation to train with Barcelona. Regardless of Barca’s opinion of the player, he will not be playing football with Toulouse next season, having fallen out with the club in a major way. Also in the hunt is Anzhi Makhachkala, recent opponents of Newcastle in the Europa League round of 16. Ludovic Sané, who is experienced in both the defensive midfield and central defense, has been an important piece of the Girondins de Bordeaux side that advanced to the knockout stage of the Europa League after facing Newcastle in the group stage. The 26-year-old Senegalese international, a powerhouse built in the mold of Moussa Sissoko, has drawn interest from many other Premier League clubs, including West Ham, Southampton, Everton, and Wigan. With only one year remaining on his contract with Bordeaux, he has been valued by his club at around 5 million. N’Koulou would be a perfect summer pickup for the Magpies. While both N’Koulou and Abdenour would be superb replacements for Fabricio Coloccini, N’Koulou gets the slight edge in overall talent and is much more familiar with success at both the club and international levels. While obviously not as significant in the grand scheme of things, the player and his club are parting ways only due to financial turmoil rather than personal turmoil, and quite frankly, N’Koulou is a more likeable individual. Hopefully, Joey Barton will do as good of a job marketing Newcastle to Nicolas as he did Loic Remy before the latter was distracted by Harry Redknapp chucking wads of cash. Agree? Disagree? Feel free to let me know!